Updated Nov. 9 at 5:55 p.m.
Republican John Thune has beaten Jay Williams, a Democrat, in the race for the South Dakota Senate seat currently held by Thune. Republicans kept control of Senate majority, fending off what was thought to be a strong takeover bid by Democrats. So far, 33 Senate races have been decided, with Republicans winning 21 and Democrats winning 12. Going into Tuesday, Republicans held a majority in the Senate, with 54 seats vs. 44 for the Democrats. Two Independents in the Senate both caucus with the Democrats. Thune is the No. 3 Senate Republican, as well as the Commerce Committee chairman. He served three terms in the House before joining the Senate in 2004. Williams is chairman of the Yankton County Democratic Party. 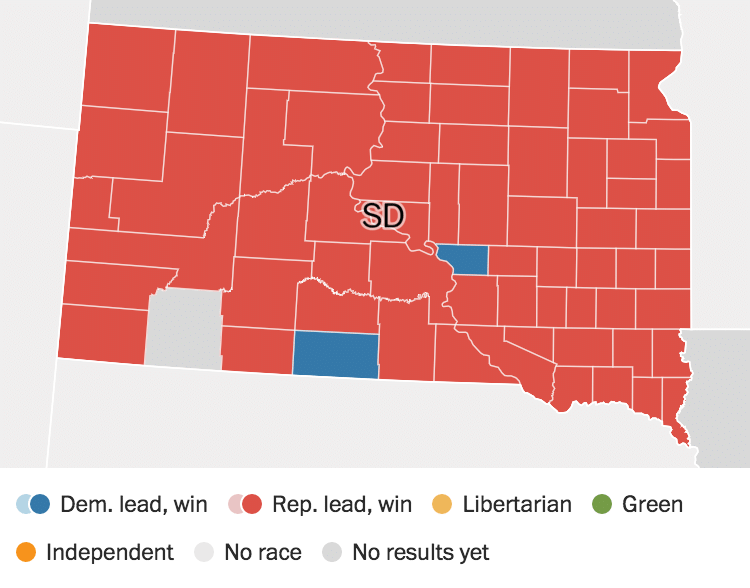 South Dakota voted for Republican businessman Donald Trump in Tuesday’s presidential election. From staff and wire reports, powered by Heliograf, The Post's artificial intelligence system.